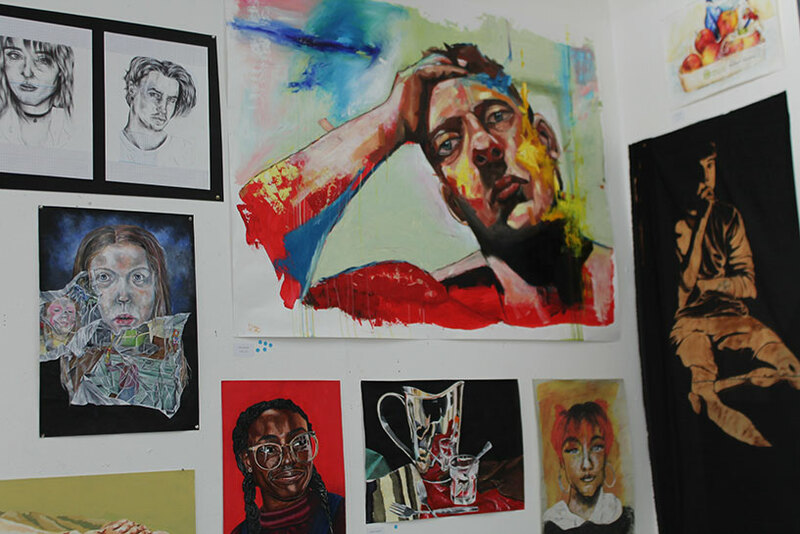 The Art and Design Department at the Sixth Form incorporates Art, Photography, Art History, Textiles, Graphic Design, Product Design and Sculpture. The department offers a lively and engaging environment for students to develop their skills and an understanding of contemporary art. Each year many of our students go on to a Foundation Diploma or an Art and Design Degree course after completing their A Level. The A level course aims to give students the confidence to explore different ways of working. We help everyone, through experimentation and supportive tuition, refine and develop a technique which will allow them to independently express their visual ideas. The course has two components, a coursework component and an exam component. The coursework component which is worth 60% of the final mark is then followed by the exam component which is worth 40% of the final mark. Both components are practical but the component 1 has a written element based on studying relevant artists’ work that relates to the practical work. 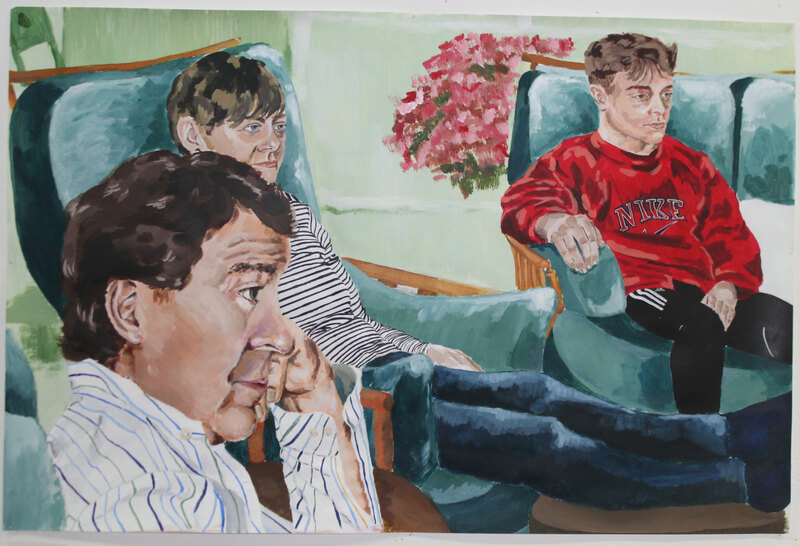 Students are supported in their learning through expert tuition, gallery visits and exposure to the work of other artists both European and Non-European. Students’ progress on to a Foundation Diploma after A Levels or apply direct for Art and Design related degree courses. Art combines well with any course at college. We have an open space in the Art and Design department that students can use in their study periods. We have a number of resources available, including two kilns, a vacuum screen-printing table and a large etching press as well as well-lit and spacious studios. This is a subject that combines visual awareness, independent study and essay writing skills. Students do not need to be good at drawing and painting to do the course, but they will need to illustrate their work creatively. The Art History course combines particularly well with Art, History, English and Modern Languages, but would attract anyone who is interested in learning more about Art and Design. We place the emphasis on first-hand experience of works of art and have a lively programme of gallery and museum visits and workshops. The course is taught and assessed through the submission of coursework rather than through a written exam. Like Art the Art History course has two components – coursework (60%) and an externally set assignment (40%). Students have gone on to the Courtauld and other institutions to complete a degree in Art History. Art History can be combined successfully with a practical subject. We have good links with the Art History department at Essex University. This Photography course is a challenging subject where both creative and technical ability will be important. You will learn how to see with a camera and express your ideas through the photographic medium. The course is mostly practical but you will also document your progress and research in a work journal. A background in Art is very important. Various genres of photography will be studied, including portrait, still-life, landscape and documentary. Traditional black and white, as well as digital imaging will be covered. Enthusiasm and commitment are essential. There is one practical coursework component (60% of the A Level mark) plus the examination component (40%). The course combines practical creation of your own black and white images with critical studies of the work of photographers throughout the past century. There will be theory sessions as well as practical workshops, plus several visits to exhibitions. You will be working quite independently after the initial induction period, using the classroom and the two darkrooms. We have good links with the photography lecturers at Suffolk University. Many of our photography students apply direct to Photography degrees. Product Design is part of the Art and Design department. It shares a workshop and other facilities with Graphic Design. Product Design is a well-established subject within the College and the subject staff are passionate about the course, having a wealth of experience. Many of our students go on to study a variety of technology and engineering based courses at university and we pride ourselves on preparing students to study the subject successfully beyond A Level. 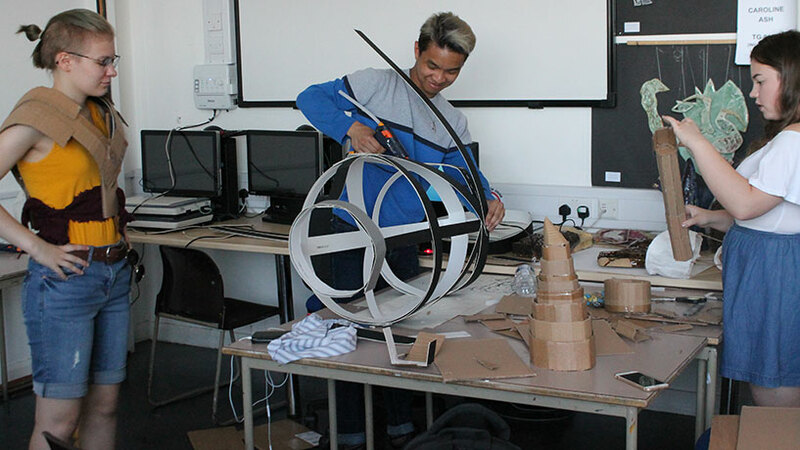 The Product Design course provides students with the opportunity to develop an understanding of the principles of design and the role of the designer in society. It is closely related to GCSE Resistant Materials, but at the same time introduce students’ to many new aspects of design and manufacture that are not covered at GCSE. All Product Design students spend time investigating and analysing commercial products. Students are required to develop designs for products and also manufacture products in the College workshop. Alongside these coursework tasks, students will study the use of commercial materials, processes and technologies in the manufacturing of products in the real world. They will learn how to manipulate a range of resistant materials, such as plastic, wood and metal. The students will be taught how to use the machines in the workshop in order to develop their own projects. Students have gone to do degrees in Product Design, Architecture and Car Design – also student’s progress to paid degree apprenticeships within Industry. The Graphic Design A Level course will introduce students to a variety of approaches to visual communication that are frequently used in the graphic design industry. These will include areas such as branding, logo design, advertising, packaging design, illustration and typography. Providing experiences that explore a range of graphic communication media, processes and techniques. Students will learn to use both traditional and digital media during the course; exploring the use of drawing for different purposes as well as learning how to manipulate and create images using Adobe Photoshop and Illustrator. They will also explore the work of a wide range of designers in order to inform their ideas and designs and help them develop their own individual styles and approaches. The first year of the course is treated as a foundation year in order for students to gain as broad an experience as possible. It is broken up into a series of short projects, each focusing on a particular area of graphic design and culminating in the production of a presentation piece. The second year is assessed for the final year A Level it consists of two projects. The first is an extended coursework project where students are expected to create and pursue their own brief. This element also includes a 1000 – 3000 word written essay. The second project is set by the exam board and culminates in a 15 hour practical exam. The coursework is worth 60% of the final mark and the exam project is worth 40%. This is an option for second years who want to extend their skills. It is a good addition if a student wants to apply to art college for a degree or art foundation course. It is a full A Level in one year focusing on the making and production of three dimensional work. Students will research into the work of contemporary artists as well as learn an appreciation for more traditional artists and designers working in three dimensions. The Textiles course aims to nurture creativity and help students develop their own personal strengths through independent study. The textiles area is well resourced and staff are able to provide a wide range of expertise while providing a welcoming and friendly environment for students to develop their creative and technical skills. There are a wide range of opportunities for careers and for further study in Higher Education. This creative subject combines well with any course of study at the college. Students will be introduced to a variety of experiences that explore a range of textile media, processes and techniques. They will be exploring both traditional techniques as well as new media. Observing and recording using a variety of methods and media will be explored as well as the potential for the use of colour, pattern, texture and 3D form. Students will use sketchbooks to underpin their work and they will investigate and research relevant images, artefacts and resources relating to a range of art, craft and design, from the past and from recent times, including European and non-European examples. Students’ progress on to Fashion and Design related degrees. We have ex-students coming in also to talk about their degree course and the work they are doing in the Fashion industry. This provides an opportunity for students of all abilities to explore a variety of drawing and painting techniques. The emphasis is on a loose approach to media, working on short activities as well as producing longer pieces. It is open to anyone who has an interest in drawing and painting. 2nd year Art and Design students who wish to follow a career in an art related area after A level, will be given guidance and advice about applications to Art Foundation and degree courses through UCAS, personal statements, preparation of a portfolio, unusual projects, discussions, outside speakers, gallery visits etc.